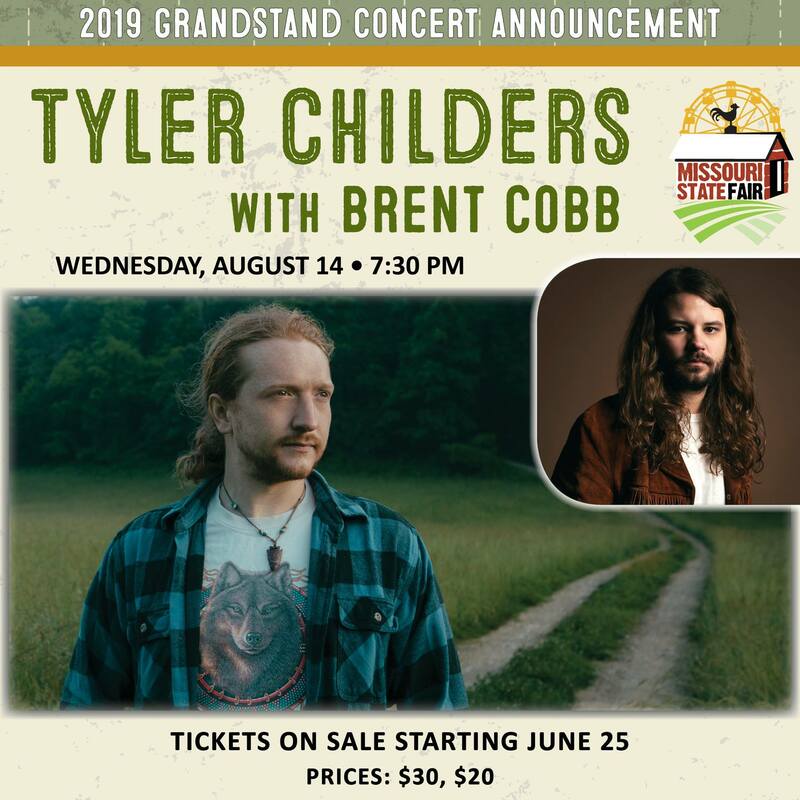 Missouri State Fair officials have announced Tyler Childers will play on the Grandstand Stage Wednesday August 14 at 7:30 p.m. with support from Brent Cobb. Tickets for the show will be $30 for track seating and $20 for grandstand. Tickets go on sale to the public at 9 a.m. June 25 through Etix. All concerts seats are reserved. Convenience charges apply to all tickets. The Missouri State Fair Box Office opens at noon on June 25 for walk-up orders (while tickets remain). Box office hours are June 25 through August 2, 12 p.m. – 6 p.m. Monday through Friday. August 5-7 9 a.m. to 6 p.m., and August 8-18 9 a.m. to 9 p.m. The 2019 Missouri State Fair will be held Aug. 8-18 in Sedalia. Additional acts, special events and promotions are expected to be announced in the coming weeks. For more information about the Fair, visit mostatefair.com.